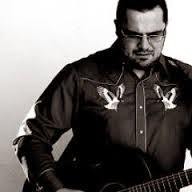 Ags Connolly is a name I’ve been aware of for quite a while with respect to a Country 2 Country Festival pop up stage appearance and numerous interactions on social media. Now finally we can add recording artist to his repertoire and without any hesitation it has to be said that HOW ABOUT NOW is an exceptional release that ranks highly among UK artists actively involved in producing country music. You get no pulled punches with Ags and don’t shout too loudly about the current output of Nashville’s mainstream crop in his presence. Regardless of whether you adopt his views or not, understanding the inner qualities of what Ags is trying to re-interpret is sufficient enough to savour the merits of this album which has the depth to reach out to fans across the spectrum of country from mainstream to alt via all ports of Americana. The concept of this album was born from a meeting between Dean Owens and Ags at last year’s Country 2 Country Festival, with the pair re-convening up in Scotland to bring the project to fruition. Having a stellar group of musicians around him has allowed Ags to bring his fine songs to life and we are served with a collection of 11 tracks that get to the crux of what country music is all about. Maybe it’s not the style embraced by commercial radio, CMA and advocates of evolution but it represents a sound that will be embedded on the epitaph of country music in the unlikely case of it meeting its maker. Back to the finer details of the album and there is no finer place to start than the opening track where ‘When Country Was Proud’ explicitly leaves you in no doubt as to where Ags Connolly’s allegiance lies. So right from the off we are in the territory of Willie Nelson, Waylon Jennings and David Allen Coe. This theme, style and sound doesn’t waiver as we weave through the drinking, loneliness, companionship and reflection songs, all delivered with loads of guitars from pedal steel to mandolin and electric amidst a vocal style aching like the tortured soul of country music. Alongside the excellent opener, the other two tracks worthy of stand out nomination are the nostalgic ‘I Saw James Hand’ and the heart wrenching ‘Trusty Companion’. The former sees Ags recounting his ‘I saw the light’ moment when witnessing the subject of the song playing alongside Dale Watson at a London gig. Many country fans will recognise this scenario as having a particular moment when you were ultimately hooked into the genre. The lyrical content is far from abstract and the musical production is at a suitable level to give the songs centre stage and this is really what country music is all about. So whether you are cursing what’s already happened as in ‘The Dim And Distant Past’ or wallowing in the confusion of ‘I Hope She Wouldn’t Be Here’, the travails of life are all captured here in a collection of 3 minute songs. However just as we learn to accept the melancholy in a self-comforting way, the final and title track ‘How About Now’ just opens the door for a smidgeon of optimism. Ags openly states that this album should be viewed as a step into the ‘Ameripolitan’ world inhabited by Dale Watson rather than merely country or Americana but I’m going to beg to differ. This is an unashamed country album that should be gorged upon by all serious fans of country music and not just confined to sub-genre backwaters. 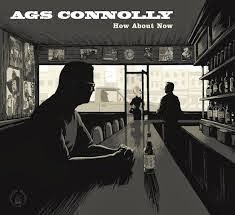 HOW ABOUT NOW by Ags Connolly is one of the best UK country albums recorded in recent years and should be showcased alongside the work of My Darling Clementine in how a style immortalised in the past should be preserved for enjoyment in the future.